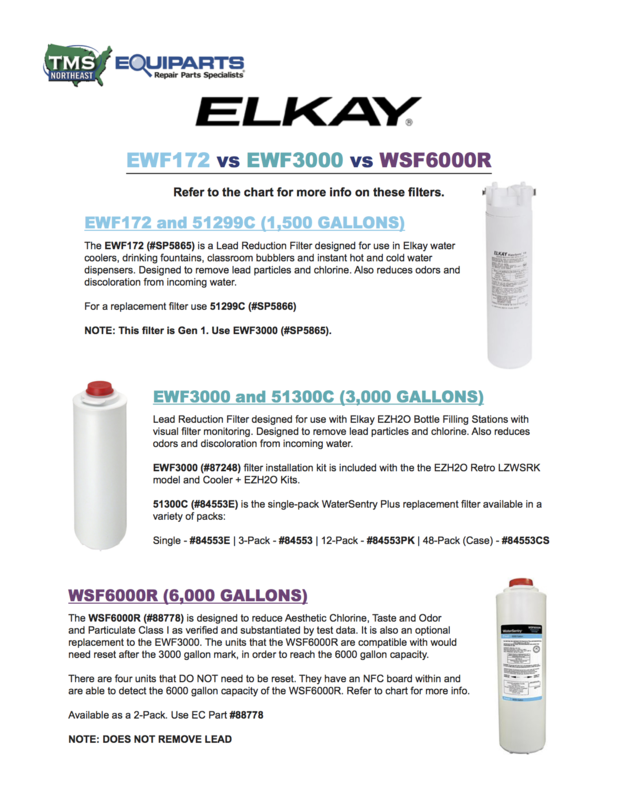 Buy the right filter for your Elkay drinking fountain, bottle filler, or water cooler by using this water fountain filter chart. 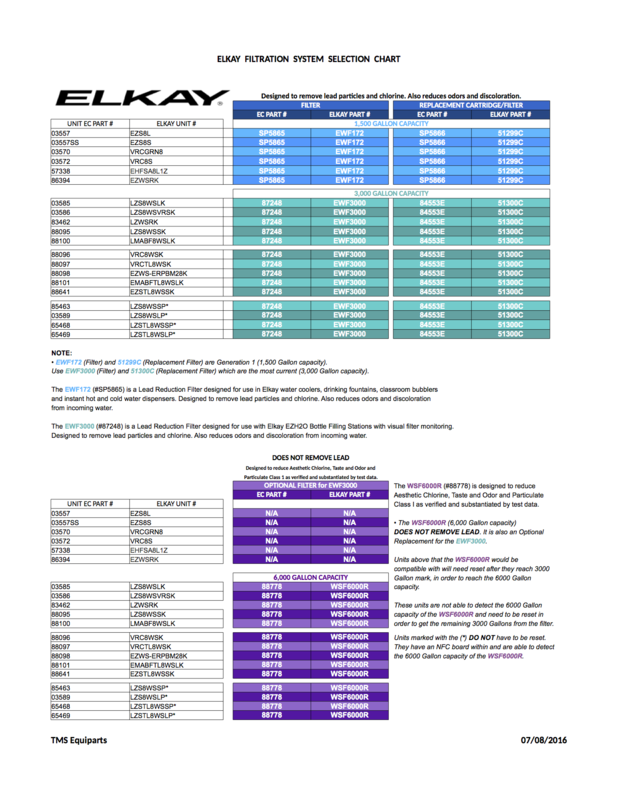 It tells you which filter is compatible with your Elkay bottle filler, water cooler, or drinking fountain. Chart uses unit model number, which can be found on the label of the unit.